Please rate your experience with Ehlers Pest Management. Ehlers Pest Management values your input on your recent experience with us. Please share your opinion of the work we performed for you. "First time customer here & thoroughly happy. Spent 12 years with Batzner, had an emergency and they would not assist for 3 weeks. Called Ehlers & he was able to make it the same day. Very happy with his expertise & he will even go the extra mile and make a repair. You won't get that kind of service with the big company like Batzner. Call Ehlers, he is local & worth it! I plan on being with Ehlers permanently!" "Best interaction I've ever had with pest management. John runs his business with integrity, answered all of our questions and concerns with patience and kindness, and worked quickly and effectively. Highly recommended. "Fantastic! Great service and great results!" "John is great! He comes out right away and takes care of the problem immediately! Highly recommended." "When we had a rodent problem years ago - I called several companies and Ehlers got back to us right away. We've been thrilled with their service! So satisfied in fact that we recommended them for the large church and elementary school that I work at. Happy to report the results have been just as good for the large commercial job as they were at our our home. John pays great attention to detail, is trustworthy and honest and has a reliable staff." "We have used John Elhers services for the past 5 years. He uses the best products that are safe for our kids and animals. John always takes his time to answer our questions and concerns. He is dependable and I would definitely recommend him for any pest or insect issues." 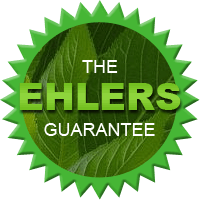 "Ehlers Pest Management is an excellent company. John is always on time. He provides a status on the "activity" on the premises. He is personable as well as gets results. Our 'activity' is down to a minimum. The pesticides that he uses works for us. Just thankful."